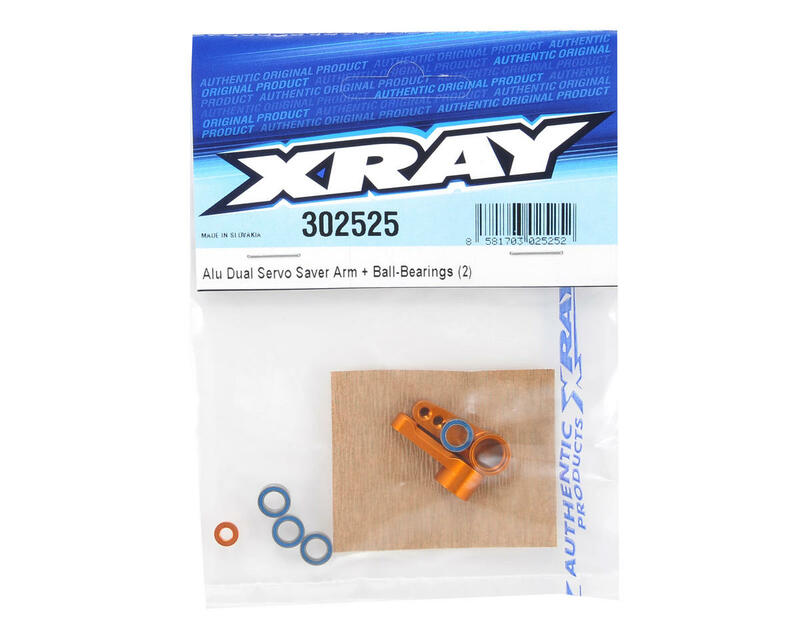 This is an optional XRAY Aluminum Dual Servo Saver Arm Set with Ball-Bearings, and is intended for use with the XRAY T3 2012 Spec 1/10 touring car. Ultra-strong construction provides long life and durability in even the most extreme racing conditions. 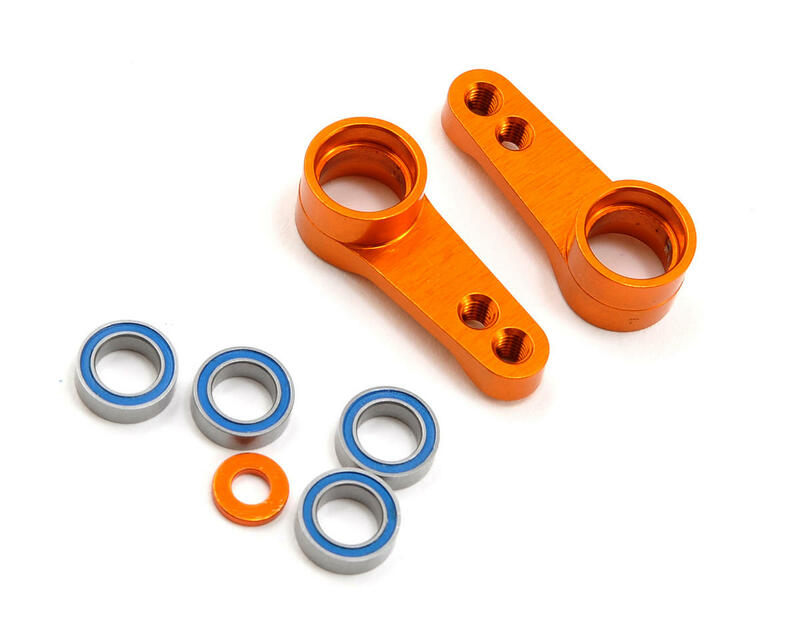 CNC-machined from premium Swiss 7075 T6 aluminum for superior strength and reliability, this is a direct replacement for the composite servo saver arms. Includes ball-bearings.